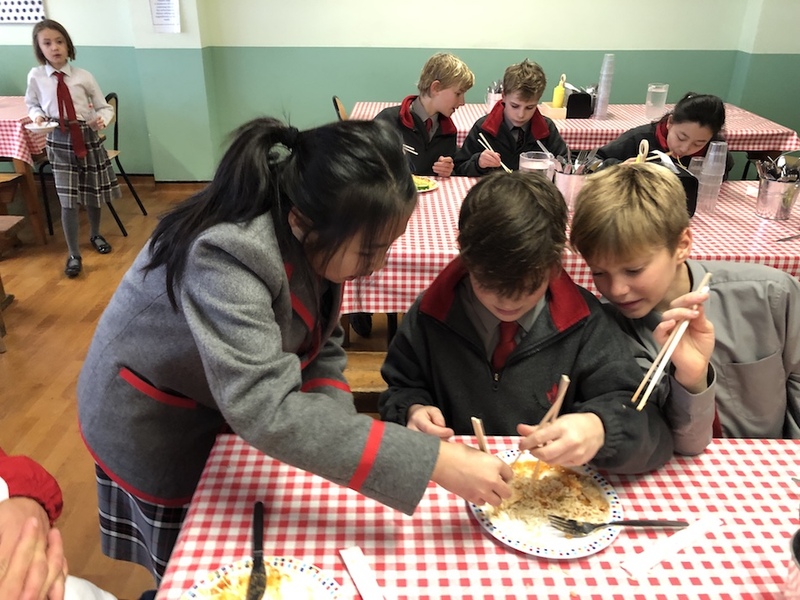 Children at Westbourne House School have been celebrating diversity with an International Week, during which they experienced enriching opportunities to learn about different cultures and countries. 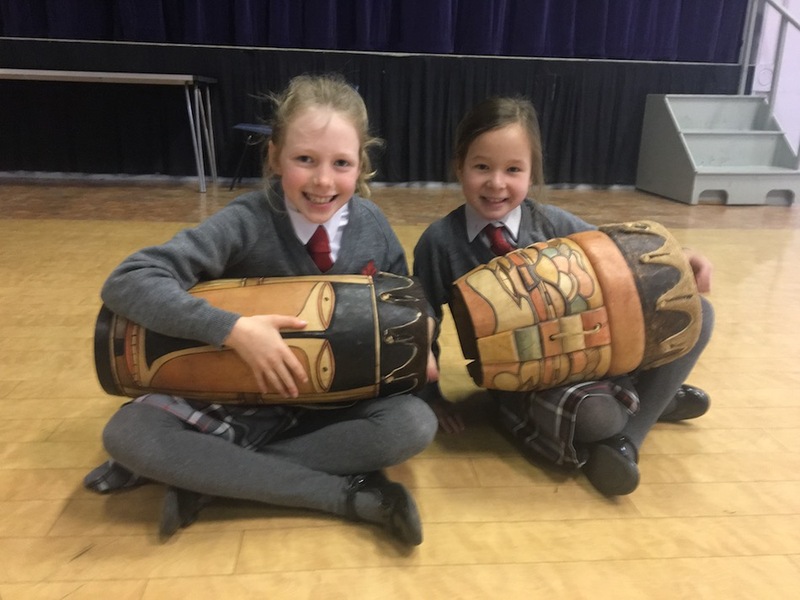 Experiences, special assemblies and masterclasses took place throughout the school, from Nursery to Year 8, and included sampling food from other countries, being immersed in foreign language, trying exciting new sports, and learning about music and dances from other continents. 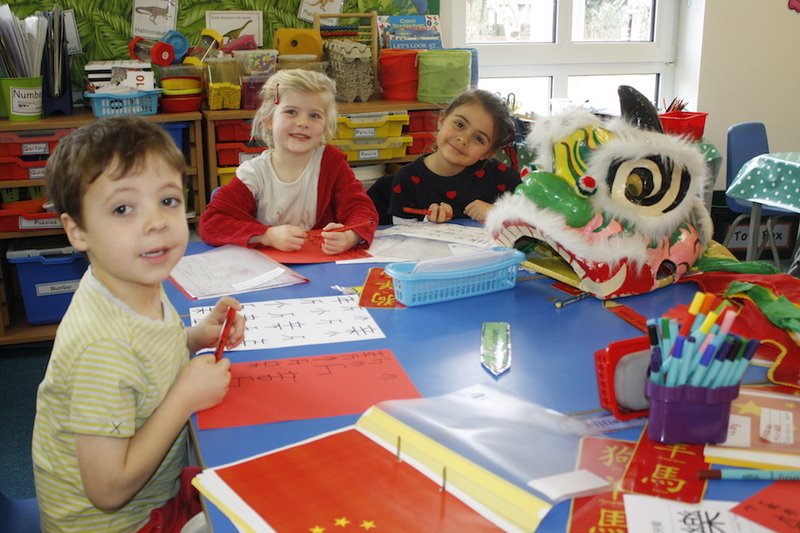 On Asia day, morning assembly submerged our pupils into a Chinese-only speaking environment and without any English at all. Pupils learnt to say, “Hello”, “How are you?” “Well!” in Mandarin from our fabulous international pupils from China: George, Helen, Angel, Charles and Jerry. We also learnt about populations of Asian countries and Mrs Sleep had to put into order the ten most-populated Asian countries from largest to smallest. Let’s just say Mrs Sleep isn’t a Westbourne House Geography teacher! The assembly concluded with a religious symbols match-up and geographical location inter-patrol quiz of some well-known Asian countries. Otters were victorious! 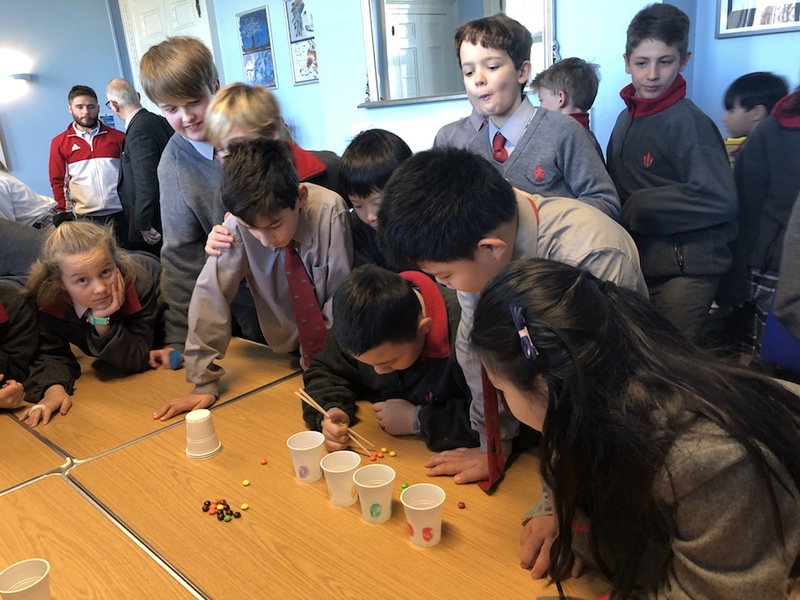 At break time and after lunch, pupils tried their luck at our Chopstick Challenge, sorting Skittles into their colours using just a pair of chopsticks! Mr Whitehouse wowed for the staff, sorting 10 in 32 seconds. Jacob Tuppen topped the pupil rankings with 35 seconds. 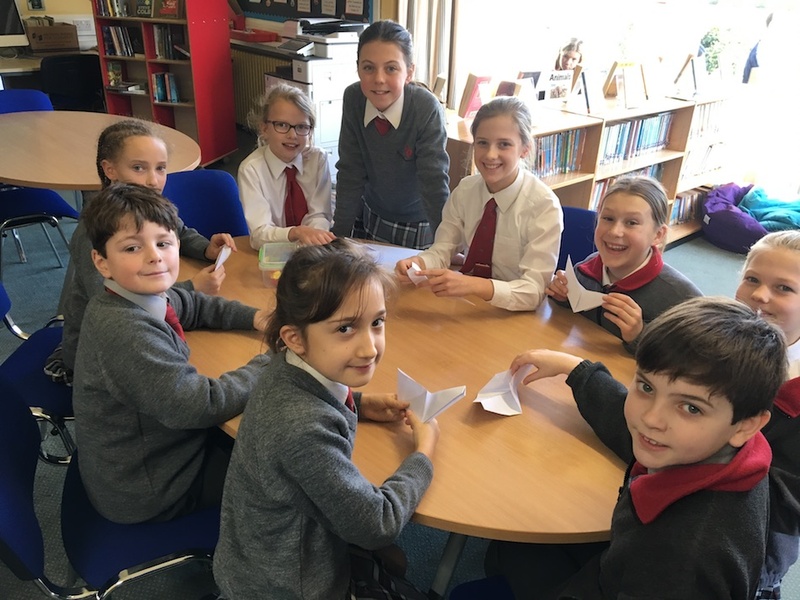 Amber Davis led an origami masterclass making Jack’s Birds. 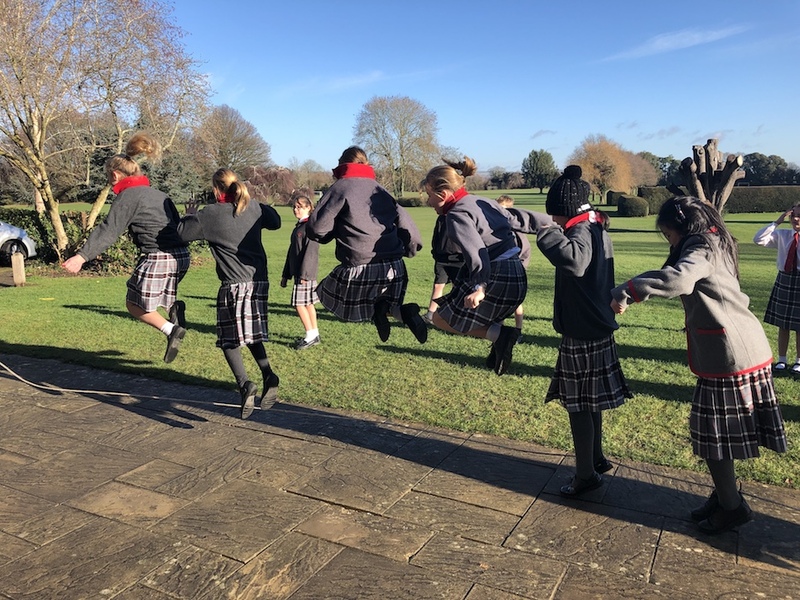 Finally, pupils and staff competed in a Jump Rope Challenge, trying to get the largest team over the rope the most times consecutively. The pupils didn’t manage to do a sequence so the staff triumphed with one jump thanks to Mrs Sutcliffe, Mr Brown, Mr Whitehouse, Mrs Sleep and Mrs Pollock! 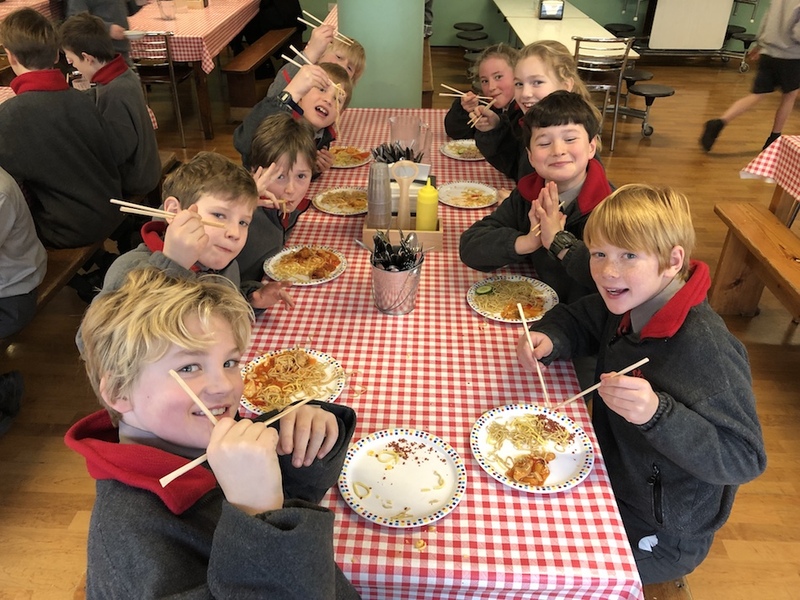 A wonderful, action-packed day fuelled by delicious sweet and sour chicken and noodles at lunch, eaten by pupils and staff armed with chopsticks only, of course! As the week went on, the children delighted in discovering what would be happening next: “Which country are we going to for lunch today I wonder?” asked Millie, aged 5, talking about the international menu devised by the brilliant catering team. You certainly don’t need to go to France to practise your French! 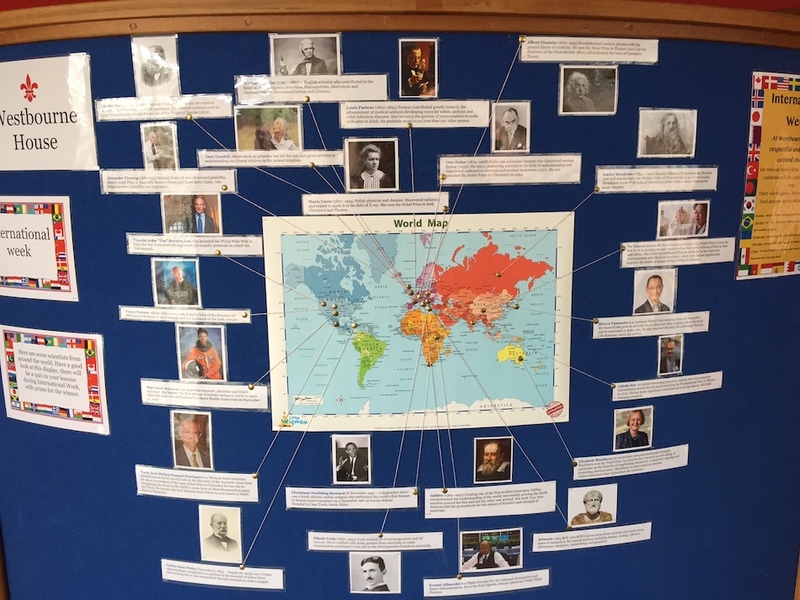 Meanwhile in science, children discovered that scientists really are a truly global phenomenon: view the photos to see the display. Children also took part in a quiz on endangered animals and which continent they come from. 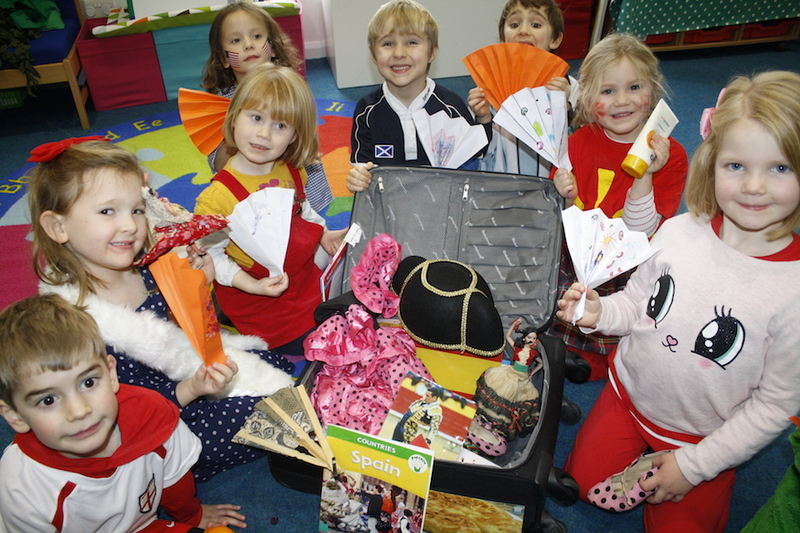 The Pre-Prep children (aged 2 – 7) were so excited when each class received a mystery suitcase. By exploring the artefacts contained within they soon found out which country their class would be paying a visit to over the course of the week. 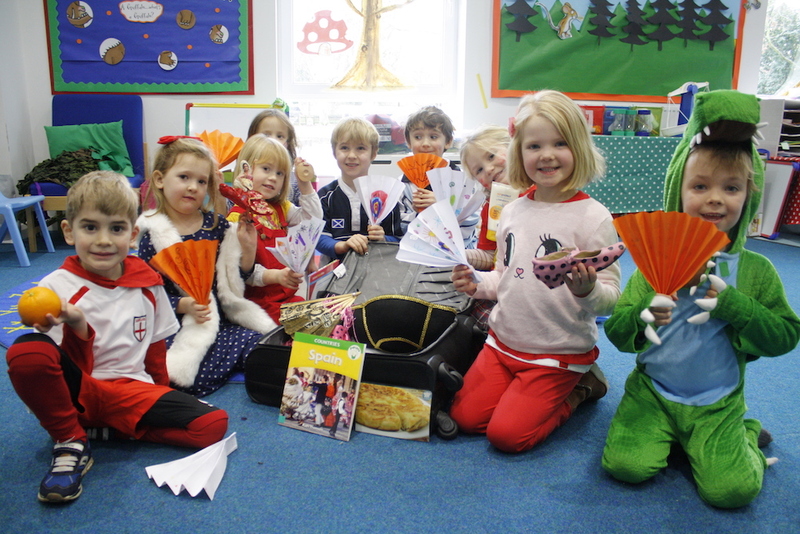 The Pre-Nursery and Nursery children found out about Indian elephants and even had a visit from a snake charmer as part of their work on India. 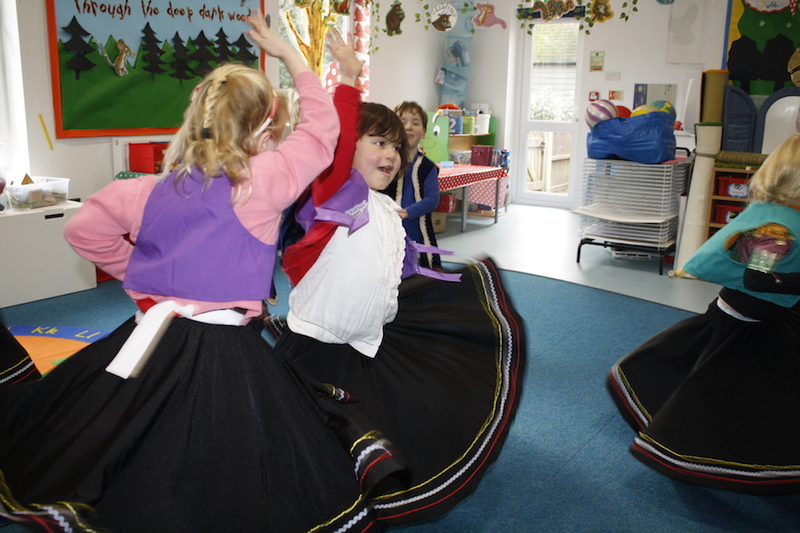 Children in Reception learned how to keep warm in Russia with some very energetic traditional dancing, and enjoyed the flamboyance of flamenco! In Year 1, one class enjoyed a stir fry experience as part of their visit to China and the other made some stunning South African Ndebele huts. 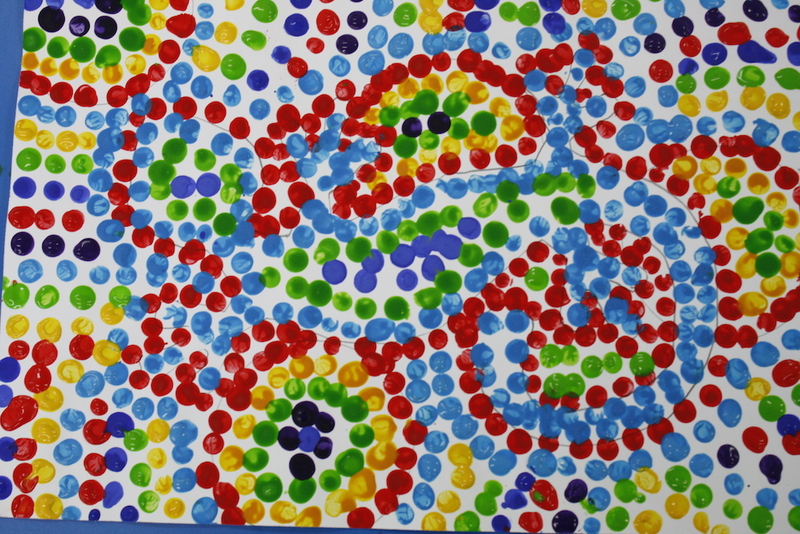 Half of Year 2 travelled ‘down under’ and delighted in creating some stunning aboriginal-inspired art work, whilst the others migrated to Peru and discovered a country famous for more than just a well-known bear! Did you know that Peru is home to the biggest sand dune in the world? Perfect for sandboarding! 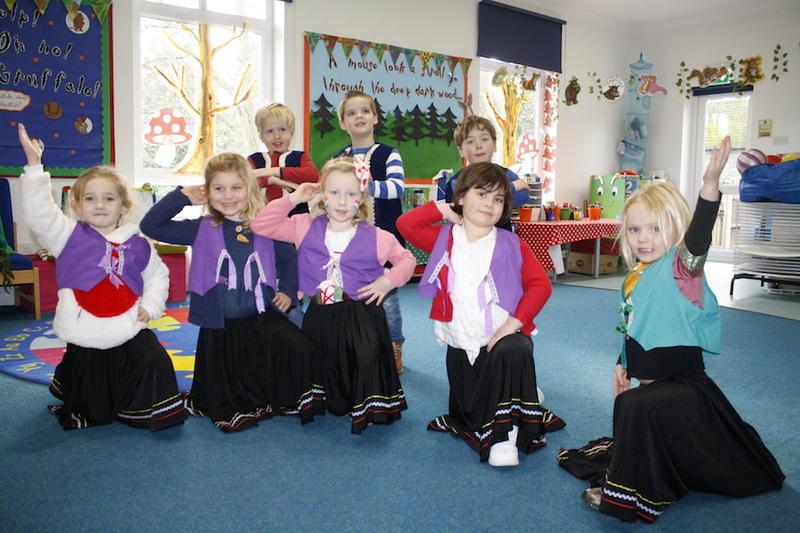 All of the Pre-Prep children enjoyed a ‘world tour’ on Thursday and Friday as they visited different year groups to take part in activities as diverse as fan making in Spain and gum boot dancing in South Africa. I love the kicks in the Russian dancing. Can we do it again? 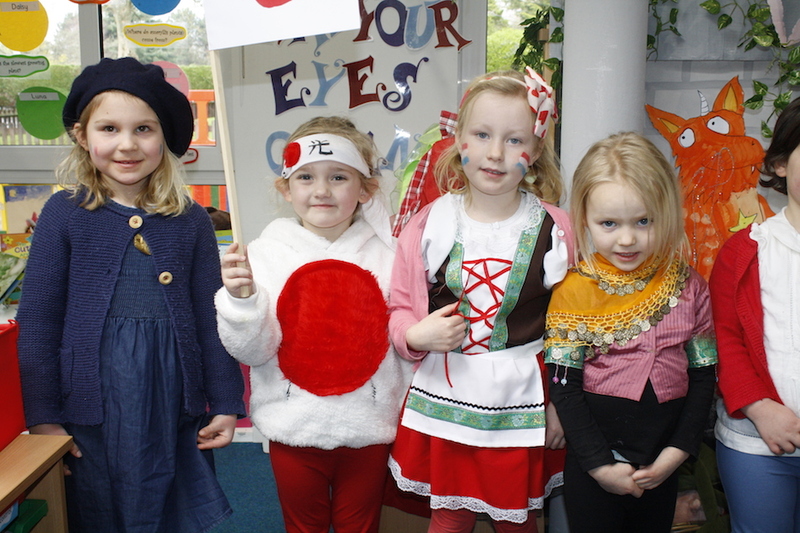 Thursday was a whole school dress up day and pupils arrived multi-coloured representing people and countries across the world. There was fantastic inter-patrol flag competition for Year 3 to 8, which saw Otters pipping the Panthers to first place by one point. If you would like to have a go at our flag based questions, to see how you would have fared, you can download the questions and answers below (no peeking). On Friday, the children were visited by a volunteer representative from Chichester Downs Syndrome Support Group, one of our chosen charities for the next two years. They learnt a little bit of Makaton, and the take-home message was to be inclusive and take the time to understand different people, which reinforced the week’s core messages. 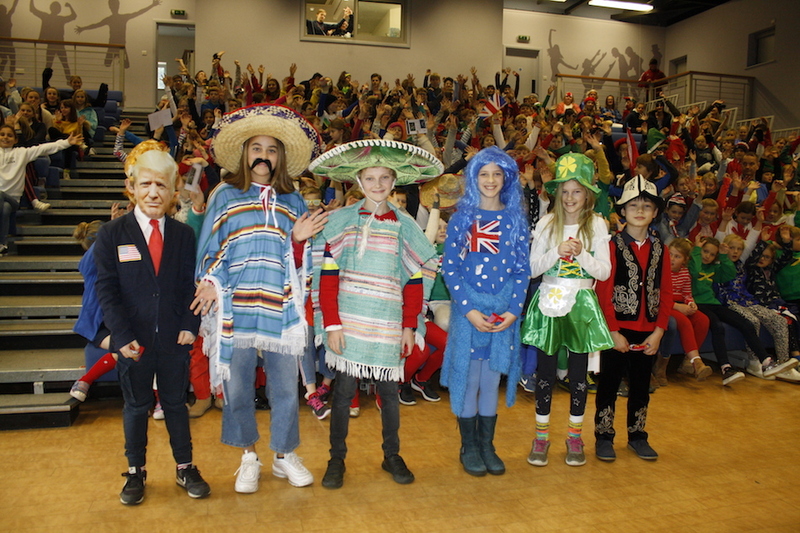 Year 8 took the USA assembly on our final day and had the children on their feet for Born in the USA, as well as giving us interesting facts from across the pond and delving into history as well. This was followed by a fabulous accent masterclass thanks to a number of our talented teachers including Head of Drama, Ed Cousens. Meanwhile, other children enjoyed a masterclass in baseball in break time and in PE. ...all of my children came home buzzing each day. They were full of all of the new and varied tasks and shows and information they had learned. It was hands on, inspired and inspiring interactive teaching and learning at its best.